Dumaguete has been known as “The City of Gentle People” due to the extraordinary warm hospitality of its people and genteel way of life despite being the provincial capital of Negros Oriental. 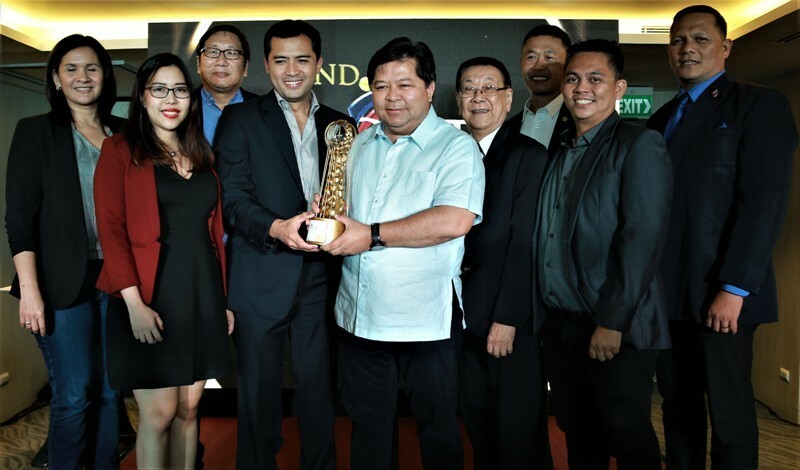 But despite its laid-back aura, it takes pride in an active population engaged in a variety of sports from sunrise to sundown as the city was recently given the coveted Organizer of the Year (Government) in the Philippine Sports Tourism Award. In photo are Mayor Remollo (center), along with the city officials and department heads, receiving the award with DOT Central Visayas regional director Shalimar Hoffer Tamano. Now on its second edition, the awardees were selected by a panel of judges from various sectors, including the Department of Tourism (DOT), the Philippine Sports Commission, the Philippine Olympic Committee and organizer Selrahco Management and Consultancy Services. Dumaguete was also a runner-up in the Sports Destination of the Year category, having hosted a variety of sporting events which brought in thousands of athletes and tourists. According to Dumaguete mayor Felipe Antonio Remollo, they have been positioning the city as a sports hub in the central Philippines by organizing and hosting national events. “This award will top off all the tourism awards we got. I always believe that sports is a great equalizer and unifier,” he said at the PSTA awarding ceremonies. In line with its 70th charter anniversary and fiesta in 2018, the city hosted the Dumaguete Triathlon, Children’s Games, the Dumaguete Dragon Boat Challenge and the Beach Volleyball Republic On Tour. Moreover, the Philippine University Games has made the city their default venue because of its strategic location, splendid facilities, reasonable costs, conducive environment, and warm hometown crowd. Earlier in 2017, Little League Philippines Series, National Frisbee ultimate Championship, Philippine National Games, Batang Pinoy, Philippine Super Liga Spike on Tour, and the 1st Southeast Asian Beach Handball have made the city their playground. In-mid February this year, Dumaguete hosted the Central Visayas Regional Athletic Association, the regional qualifying round of the Palarong Pambansa where the city’s sports excellence and trademark hospitality were once again put to the fore. Remollo also disclosed that the city will be hosting the 20th Asean University Games in 2020, the biggest regional sporting event for students from the member countries of the Association of Southeast Asian Nations. To build on the momentum of its being a sports tourism capital, he said the city will embark on the Dive Dumaguete program this June to encourage the residents to engage in scuba diving, which can be later used for water safety and protection of the marine ecosystem. Aside from its sports award, the city was named by The Philippine Retirement Authority as the top in their Retirement Area Deemed as Retiree-Friendly (RADAR) index which measures a place’s compliance with global lifestyle standards set by the United Nations, the World Health Organization, and International Living. It was also listed as the world’s fifth best place to retire by the prestigious Forbes Magazine.